some news about buying 2 of them and use together as a split keyboard. May be a problem on the Mac. 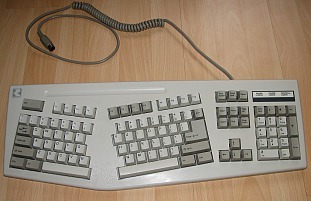 yes, the trackball am refering to is same as you are using, the Logitech Trackman Marble. here's my review and photo of me with it Logitech Trackman Marble Review yes, it's 300 dpi only. i've been sloppy on reddit here. and i think a “scientific” way to judge is to play osu with different devices. i have collected video of them here Test Your Mousing Efficiency! japan diy helix keyboard carrying case. nice. mouse and trackball, dpi, internal acceleration? nah, i don't think this makes sense. as far as i know, no trackball has internal acceleration. Actually, i don't actually know a mouse that has acceleration built in, though i've heard they exist. 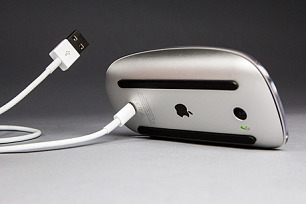 there's lots myth about this topic, and seems to be a perennial obsession since optical mouse around 1998 or so. polling rate does affect cursor speed. e.g. if you have a gaming mouse, and you set polling rate from 1k hz to 0.5k hz, you can notice a speed up in cursor speed, even the dpi is set to 1200 and didn't change. on linux, the os acceleration is typically, when certain distance is reached within a given time, then multiplier kicks in. i think ms windows acceleration does the same, but not sure. trackball dpi has very diff effect than mouse dpi. The larger the ball size and smoothness (example: can it spin), the more dpi it feels. imagine a maglev ball that can spin for 10 seconds and ball size of palm like in some arcade games. 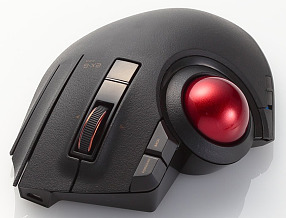 such trackball, even technically 300 dpi, will feel like 3000 dpi. and What's Mouse DPI? Does DPI Matter? for lots discussions. There are many nerds who created custom acceleration software for Microsoft Windows. But i think it's not worth the effort. Just get a nice mouse or trackball with good enough dpi, and arguably turn on acceleration. nah, i don't think there's any evidence at all. 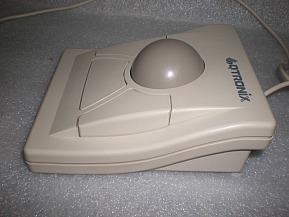 i've read a lot articles about trackballs , and am obsessed about how it compared to mouse as a input system, since 1990s. i actually didn't own any, untill few years ago. now i've used a few trackballs daily for a few years, and i'd say, nah. there are some wiz kids who use trackball more proficient than mousers at FTP shooter. it's on YouTube. i'll find the link if you need. I also conclude, trackball can't be controlled as precisely as mouse either. e.g. when you have to say aim at the close window box quickly. one easy test is to write your first name in print on screen with trackball and mouse, as fast as possible. Am sure, vast majority will be more accurate with less time by using mouse, given same amount of time/training with each device. trackball is just in general easier to use, and easier on hand. that video https://www.reddit.com/user/SynBogaNajwyzszego is most annoying. how do we know he's using trackball? well, maybe trust can be established from his reputation or his other video recording showing trackball in parts of the screen... but still, yeah, we need to see that video. the Logitech Trackman Marble is ancient. I have it. Even last month, i tried to use it again, but decided to put it away. The resolution is too low. (something like 800 dpi?) yes, i have acceleration on. but i also noticed, on the Mac, it makes the cursor jump. apparently, you can still find this in trash if you are lucky. updated. thx to Max P.
been thinking that too. 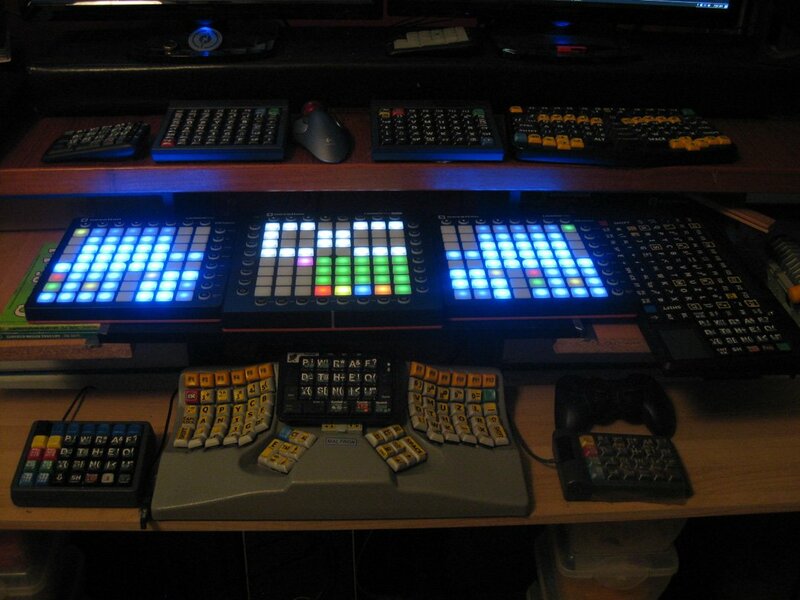 Something like Akai MPK Mini could work. there's already midi/usb/key interface. @batchout has done it. 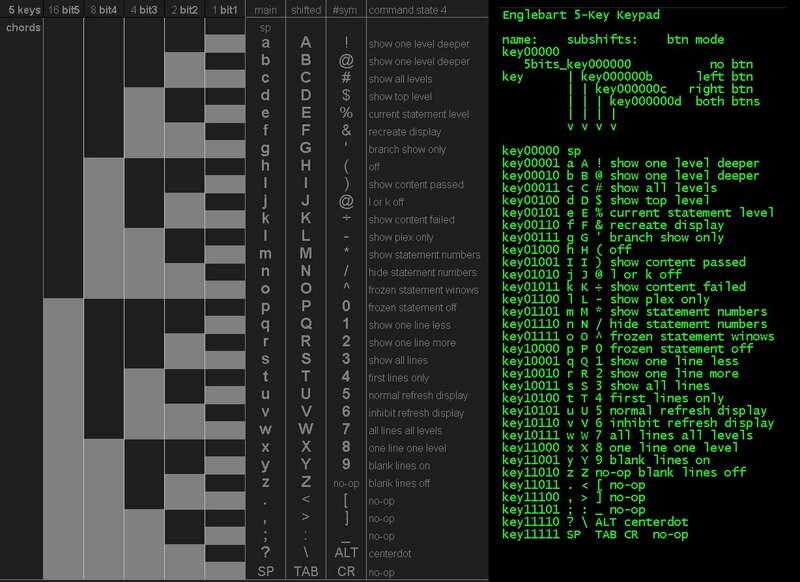 and there's steno/pianotext/michela as “layouts”. I've been really wanting to do. think it'd be most efficient. Not sure what's the long term effect on hand. as a personal project i think it'd be very interesting. it can include many ways to do emacs commands. i think the downside is, effort cost is big, but 0 commercial prospect, cuz most people don't want new input system. e.g. 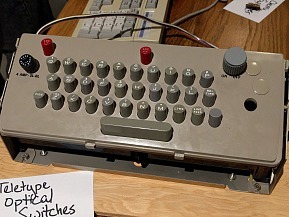 maybe 1% of emacs fan might actually buy/try. 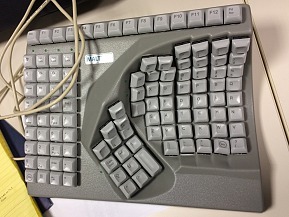 Truly Ergonomic Keyboard 2018, incoming!